An ingeniously innovative analysis of Jane Austen's work, a highly respected and engaging critical study. This important study investigates how Austen worked with, and played upon, the cracks and faultlines which time had uncovered in the ideals of polite conversation. In a wide-ranging argument combining intellectual history and literary stylistics, Bharat Tandon explores such activities as flirtation and ventriloquism, in order to show how a form of conversational morality is what Austen's novels both describe and set out to achieve. At the same time, he surveys readers' reactions to Austen, from the nineteenth century to the present day, in order to investigate the possibilities and limitations of 'ethical' criticism. 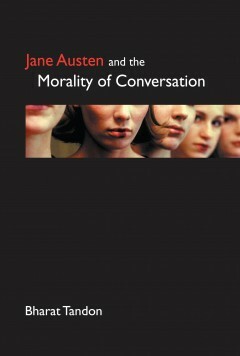 Written in a lively and accessible style, 'Jane Austen and the Morality of Conversation' offers a re-evaluation of Austen's career that will be of interest to scholars and general readers alike. Bharat Tandon teaches at St. Anne's College, University of Oxford, and is the former External Director of Studies in English at Emmanuel College, University of Cambridge.